This year, the Rogers Cup hosts the WTA Tour in Toronto, but as was the case two years ago, several greats from the men’s game will compete in a series of exhibition matches around the competition. One of those is Pete Sampras, who returns to Canada next month, hitting the court Aug. 13 for a Rogers Legends Cup exhibition match against John McEnroe. Sampras will also be inducted into the Rogers Cup Hall of Fame that same evening. 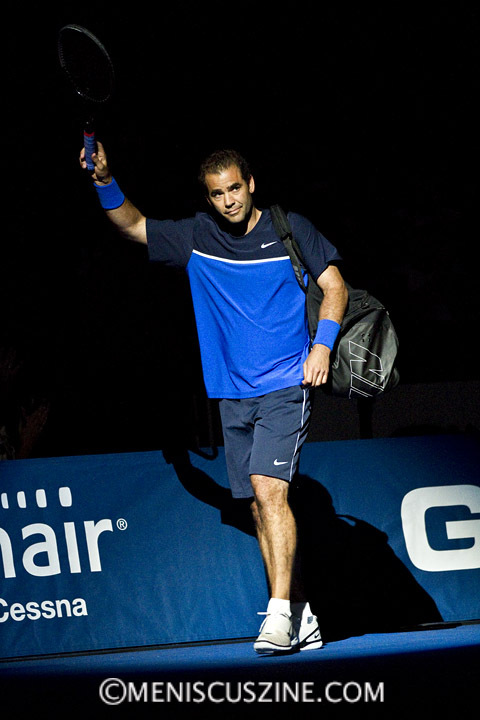 During a 15-minute conference call with reporters, Sampras discussed a variety of topics, including his playing days in Toronto (which he interestingly was never able to win, citing post-Wimbledon fatigue), Andy Murray’s breakthrough success during the last 12 months, Roger Federer’s new racquet, and playing against McEnroe in the semifinals of his 1990 U.S. Open title run. To listen to Sampras’ Tennis Canada conference call, watch our audio slideshow which includes our photos from his appearance at the 2011 Champions Series Tennis event in Washington, D.C.
For Rogers Cup ticket information, go to rogerscup.com.